This article is about the Pali term. For people with same name, see Bhavana (disambiguation). Bhāvanā (Pali; Sanskrit, also bhāvana) literally means "development" or "cultivating" or "producing" in the sense of "calling into existence." It is an important concept in Buddhist praxis (Patipatti). The word bhavana normally appears in conjunction with another word forming a compound phrase such as citta-bhavana (the development or cultivation of the heart/mind) or metta-bhavana (the development/cultivation of lovingkindness). When used on its own bhavana signifies contemplation and 'spiritual cultivation' generally. I imagine that when Gotama, the Buddha, chose this word to talk about meditation, he had in mind the ubiquitous farms and fields of his native India. Unlike our words 'meditation' or 'contemplation,' Gotama’s term is musty, rich, and verdant. It smells of the earth. The commonness of his chosen term suggests naturalness, everydayness, ordinariness. The term also suggests hope: no matter how fallow it has become, or damaged it may be, a field can always be cultivated — endlessly enhanced, enriched, developed — to produce a favorable and nourishing harvest. In Jain texts, bhāvana refers to "right conception or notion" or "the moral of a fable." 1 2 Rhys Davids & Stede (1921-25), p. 503, entry for "Bhāvanā," retrieved 9 Dec 2008 from "U. Chicago" at http://dsal.uchicago.edu/cgi-bin/philologic/getobject.pl?c.2:1:3558.pali. 1 2 3 Monier-Williams (1899), p. 755, see "Bhāvana" and "Bhāvanā," retrieved 9 Dec 2008 from "U. Cologne" at http://www.sanskrit-lexicon.uni-koeln.de/scans/MWScan/MWScanpdf/mw0755-bhAvodaya.pdf. ↑ See various translations cited in the notes below. ↑ Matthieu Ricard has said this in a talk. 1 2 3 Nyanatiloka (1980), p. 67. ↑ Glenn Wallis, Bhavana: A Guide to Classical Buddhist Meditation, 2009, draft copy, p. 7 "Archived copy" (PDF). Archived from the original (PDF) on 2011-07-27. Retrieved 2011-04-20. 1 2 See, e.g., DN 33.1.10(48), trans. by Walshe (1995), p. 486; and, MN 36, trans. by Ñāṇamoli & Bodhi (2001), pp. 332-343. Both DN 33 and MN 36 juxtapose citta-bhāvanā with kāya-bhāvanā. In DN 33, it is said that there are three types of development: of body (kāya), of mind (citta), and of wisdom (paññā). In end notes to MN 36, Bodhi (pp. 1228-29, nn. 382, 384) states that the MN commentary explains that "development of the body" refers to insight and "development of mind" refers to samādhi. ↑ Also see AN 1.22 and 1.24 (a/k/a, AN I,iii,1 and 3), trans. by Thanissaro (2006); and, AN 1.51-52 (a/k/a, AN I,vi,1-2), trans. by Thanissaro (1995), as well as trans. by Nyanaponika & Bodhi (1999), p. 36. ↑ See, e.g., Sn 1.8, Metta Sutta, trans. by Thanissaro (2004). The compound metta-bhāvanā does not actually exist in this sutta, but the sutta famously mentions that one should "cultivate" (bhāvaye) a limitless heart of metta. ↑ See, e.g., Iti. 1.27, trans. by Ireland (1997), pp. 169-70. ↑ See DN 33.1.10(48), trans. by Walshe (1995), p. 486, referenced in note above regarding citta-bhāvanā. [Layperson Visākha:] "Now what is concentration, lady, what qualities are its themes, what qualities are its requisites, and what is its development [samādhibhāvanāti] ?" [Bhikkhuni Dhammadinnā:] "Singleness of mind is concentration, friend Visakha; the four frames of reference are its themes; the four right exertions are its requisites; and any cultivation, development, & pursuit of these qualities is its development." ↑ See, e.g., in MN 151, the Buddha states that a bhikkhu who has developed samatha-vipassana (or any of the seven sets of Enlightenment-conducive qualities) "can abide happy and glad, training day and night in wholesome states" (trans., Ñāṇamoli & Bodhi, 2001, p. 1145). Additionally, AN 4.170 identifies three ways in which an arahant develops samatha-vipassana: samatha first; vipassana first; or both in tandem (Nyanaponika & Bodhi, 1999, p. 114; and, Thanissaro, 1998b). See also the paracanonical Nett 91 (Rhys Davids & Stede, 1921-25, p. 503, entry for "Bhāvanā," retrieved 9 Dec 2008 from "U. Chicago" at http://dsal.uchicago.edu/cgi-bin/philologic/getobject.pl?c.2:1:3558.pal). Ireland, John D. (trans.) (1997). The Udāna & the Itivuttaka. Kandy: Buddhist Publication Society. ISBN 955-24-0164-X. Retrieved 9 Dec 2008 from "Access to Insight" (1999, excerpts) at http://www.accesstoinsight.org/tipitaka/kn/iti/iti.intro.irel.html. Monier-Williams, Monier (1899, 1964). A Sanskrit-English Dictionary. London: Oxford University Press. ISBN 0-19-864308-X. Retrieved 2008-12-09 from "Cologne University" at http://www.sanskrit-lexicon.uni-koeln.de/scans/MWScan/index.php?sfx=pdf. Nyanaponika Thera (trans.) & Bhikkhu Bodhi (trans., ed.) (1999). Numerical Discourses of the Buddha: An Anthology of Suttas from the Aṇguttara Nikāya. Walnut Creek, CA: AltaMira Press. ISBN 0-7425-0405-0. Rhys Davids, T.W. & William Stede (eds.) (1921-5). The Pali Text Society’s Pali–English Dictionary. Chipstead: Pali Text Society. Retrieved 2008-12-09 from "U. Chicago" at http://dsal.uchicago.edu/dictionaries/pali/. Thanissaro Bhikkhu (trans.) (1995). Pabhassara Sutta: Luminous (AN 1.49-52). Retrieved 9 Dec 2008 from "Access to Insight" at http://www.accesstoinsight.org/tipitaka/an/an01/an01.049.than.html. Thanissaro Bhikkhu (trans.) (1997). Samadhi Sutta: Concentration (AN 4.41). Retrieved 11 Dec 2008 from "Access to Insight" at http://www.accesstoinsight.org/tipitaka/an/an04/an04.041.than.html. Thanissaro Bhikkhu (trans.) (1998a). Culavedalla Sutta: The Shorter Set of Questions-and-Answers (MN 44). Retrieved 11 Dec 2008 from "Access to Insight" at http://www.accesstoinsight.org/tipitaka/mn/mn.044.than.html. Thanissaro Bhikkhu (trans.) (1998b). Yuganaddha Sutta: In Tandem (AN 4.170). Retrieved 11 Dec 2008 from "Access to Insight" at http://www.accesstoinsight.org/tipitaka/an/an04/an04.170.than.html. Thanissaro, Bhikkhu (trans.) (2004). Karaniya Metta Sutta: Good Will (Sn 1.8). Retrieved 9 Dec 2008 from "Access to Insight" at http://www.accesstoinsight.org/tipitaka/kn/snp/snp.1.08.than.html. Thanissaro Bhikkhu (trans.) (2006). 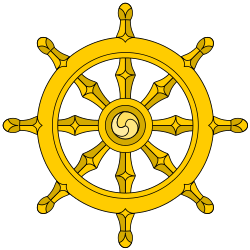 Ekadhamma Suttas: A Single Thing (AN 1.21-24). Retrieved 9 Dec 2008 from "Access to Insight" at http://www.accesstoinsight.org/tipitaka/an/an01/an01.021-040.than.html. Walshe, Maurice (1995). The Long Discourses of the Buddha: A Translation of the Dīgha Nikāya. Somerville, MA: Wisdom Publications. ISBN 0-86171-103-3.